Dennis Muilenberg, vice chairman, president and chief operating officer at Boeing (NYSE: BA) for the past two years, has been elected by the company’s board of directors to succeed the retiring CEO Jim McNerney on July 1. Boeing said Tuesday that McNerney, 65, will continue to serve as chairman of the board after he steps down from the chief executive role. McNerney has led the Chicago-based aerospace and defense company since July 2005 and has worked with Muilenberg to oversee day-to-day business operations as well as implement customer service, growth and leadership development initiatives. 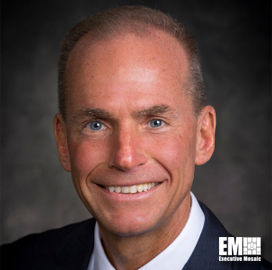 Boeing credits McNerney with carrying out efforts to increase production capacity, capture spaceflight support contracts and expand manufacturing and engineering footprint globally. 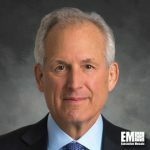 Muilenberg began his career at Boeing in 1985 as an engineering intern based in Seattle and later managed the firm’s high-speed civil transport, reconnaissance aircraft and F-22 fighter programs. The 30-year company veteran also supervised the combat systems division and served as president of the global services and support organization within the defense space and security business unit before he became the unit’s president and CEO in 2009.